The new BURST code is helping astronomers unlock the secrets of the cosmos. 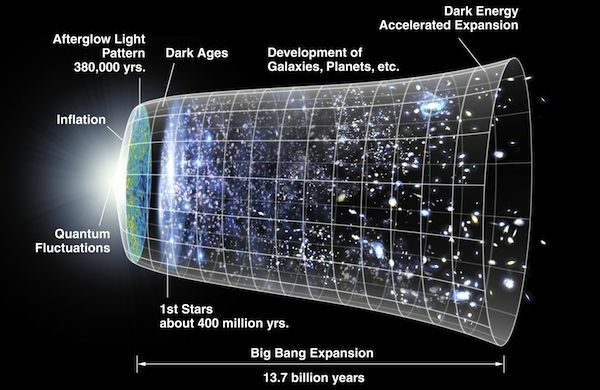 Despite being nearly 14 billion years ago, we’re surprisingly will-informed about the state of the early universe (or at least think we are). We know, for instance, that galactic hailstorms used to plague the early universe, that the Higgs boson should have collapsed the universe, or that galaxies such as ours emerged during that time. This is all because of the work of simulations that map the early conditions of the universe. Now, new and better multidisciplinary research in nuclear and particle physics and cosmology has led to the development of more accurate computer code to study the early universe. The BURST code, developed by scientists at Los Alamos National Laboratory, promises to unlock many of the secrets of the universe. “The BURST computer code allows physicists to exploit the early universe as a laboratory to study the effect of fundamental particles present in the early universe,” says Los Alamos physicist Mark Paris in a press release. “Our new work in neutrino cosmology allows the study of the microscopic, quantum nature of fundamental particles—the basic, subatomic building blocks of nature—by simulating the universe at its largest, cosmological scale,” said Paris. The research is only possible due to advancements made in astronomers’ precision measurements of the amounts of nuclei present in the early universe. These measurements were made with “Very Large” class telescopes, which are about 10 m (32.8 ft) wide. The BURST code is expected to work with data from these telescopes and next generation “Extremely Large” telescopes—30 m (almost 100 ft) across—which are currently under construction. It will appear in the late April 2016 issue.